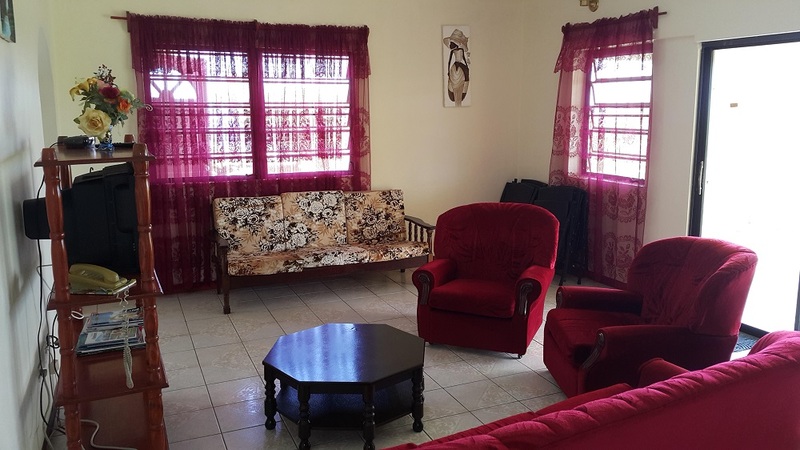 Paradise Villa and Guest House offers tranquillity and privacy in a comfortable environment for family reunions, private getaways, sports teams, church groups and clubs. While you are on Montserrat, Paradise Villa is your home away from home. From the balcony, enjoy an expansive view of the Caribbean Sea and peaks at our neighbouring islands. The villa has four bedrooms and five beds, with three baths. There is a fully equipped kitchen, a spacious living room and a large patio. Amenities such as TV, Internet, fans and radios are there for comfort added to the natural cool breeze blowing from the sea. 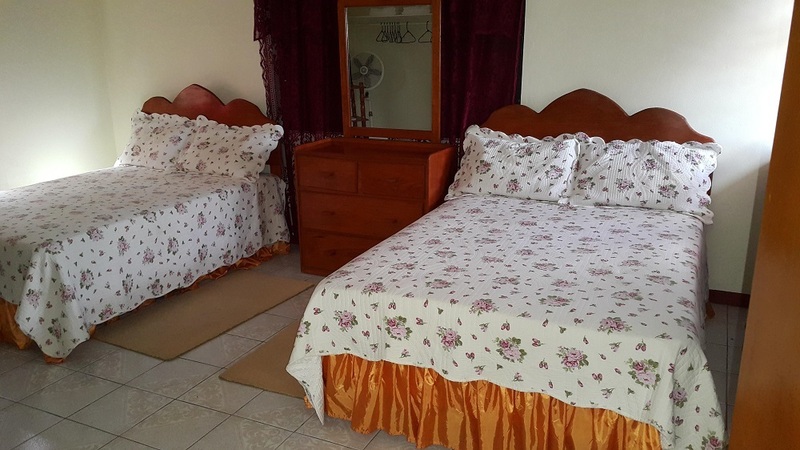 Master Room – US $85. Meals are provided on request at a cost.